The experience of sunburn can be a very efficient (i.e. painful) reminder to heed adequate protection on future occasions. 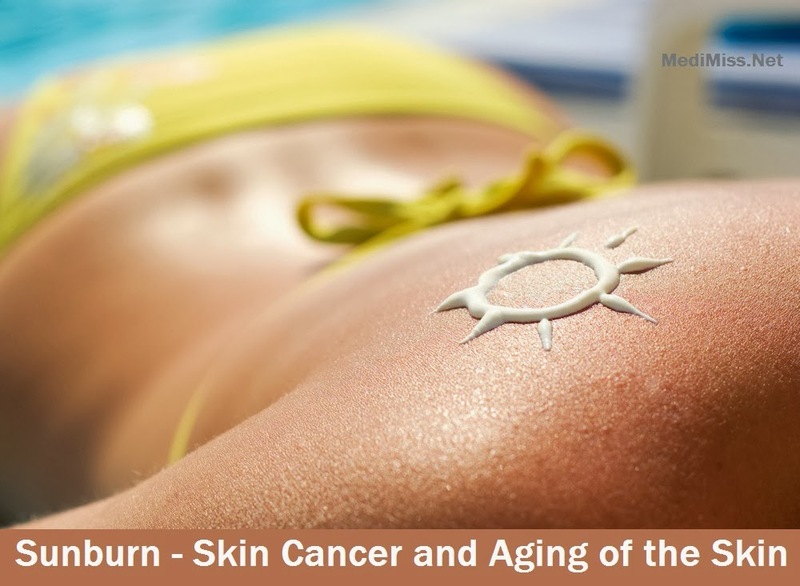 However more importantly, it should be a reminder of the long-term effects of sun exposure on our bodies and health - which can include aging of the skin and skin cancer. In order to more fully understand these consequences, let's take a look at exactly what sunburn is, its symptoms and its effect on the body. 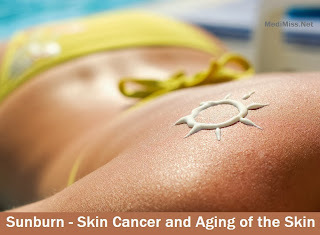 Sunburn destroys cells in the outer layer of the skin, damaging tiny blood vessels underneath. Burns deeper into the skin's layers also damage elastic fibers in the skin, which over time and with repeated sun overexposure, can result in the appearance of yellowish, wrinkled skin. The damage to skin cells from UV exposure (either sunlight or tanning lamps etc.) can also include damage to their DNA. It's this repeated DNA damage, which can lead to a cell becoming cancerous. With the incidence of skin cancer rising dangerously in many parts of the world, and with its ability to develop and establish itself in the body 'long' before external signs are detected, -- paying attention to this aspect of sun exposure and sunburn should certainly not be ignored if we are serious about preserving our health. Now while it may be easier to ignore the effects of sunburn occurring at a cellular level, ignoring the external symptoms of sunburn in the days immediately following such exposure is entirely another matter. While sunburn is usually not immediately obvious, skin discoloration (ranging from slightly pink to severely red or even purplish) will initially appear from 1 - 24 hours after exposure. Although pain is usually worst 6 - 48 hours afterward, the burn can continue to develop for 24 - 72 hours after the incident. Where there is skin peeling, this generally occurs 3 - 8 days after the burn occurs. While minor sunburns typically cause nothing more than warm/hot skin, slight redness, and tenderness to the affected area, -- in more serious cases, extreme redness, swelling and blistering can occur. These blisters filled with fluid may itch and eventually break. This can then cause peeling of the skin, exposing an even tenderer layer of skin underneath. Severe sunburn can cause very red, blistered skin but can also be accompanied by fever, chills, nausea (in some cases vomiting), and dehydration. In instances of extreme sunburn where the pain is debilitating, medical treatment may be required. While the immediate effects of sunburn can certainly be painful and cause discomfort, the real deterrent to UV overexposure should be the potential damage to your long-term health - including the risk of premature aging of the skin along with skin cancer. Don't let sunburn and sun overexposure kill your chances of enjoying youthful skin, and a healthy body. Remember, the easiest way to treat sunburn will always be to avoid it in the first place!